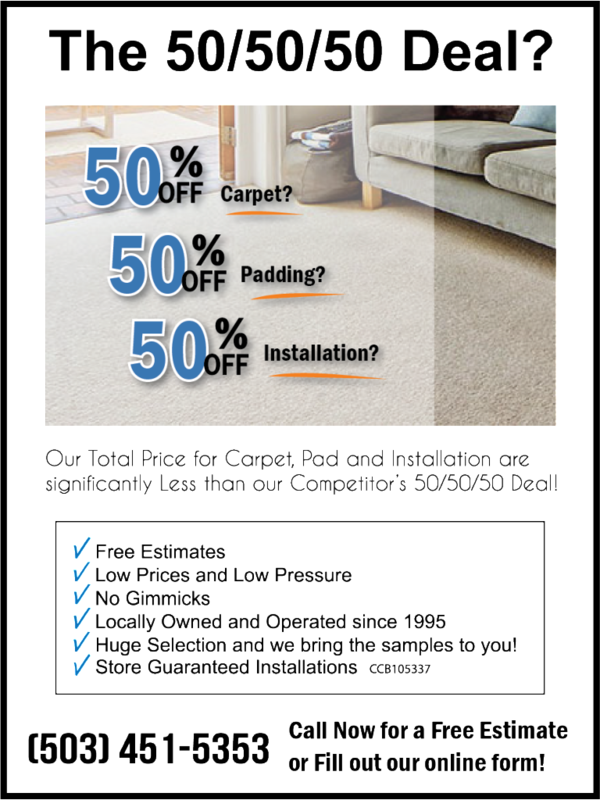 50% off Carpet? 50% off Padding? 50% off Installation? We beat our competitor’s 50/50/50 deal! Portland Flooring & Carpet of Tigard. No Gimmicks. We beat The 50/50/50 Deal of our Competitor. Call Now (503) 388-6070 for a Complimentary in Home Design Consultation and Estimate. Browse Carpet online.